The Connect command extends and trims curves to meet at their endpoints. Extends arcs with an arc segment tangent to the input curve. 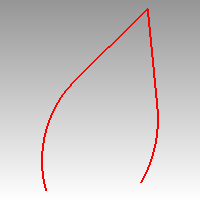 Extends arcs with a line segment tangent to the input curve. The ConnectSrf command extends surface edges to meet each other and trims the surfaces to each other. Select the first surface edge. Select the second surface edge. The selected end of the surface is trimmed away at intersection line, while the other end is kept. 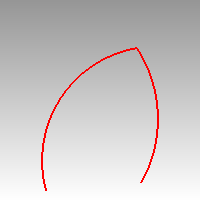 Surfaces can be connected when the intersection of their extensions is a curve. It will fail if the intersection is an overlapped region.